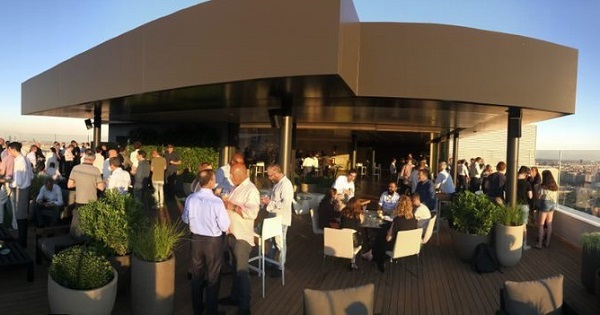 Our second annual Tufinnovate EMEA conference took place this week in Barcelona. We were excited to spend time with so many great customers and partners, and see some new and familiar faces. This was a gathering of some of the most advanced network security and operations experts from around the European region, paired with those investigating the possibilities of what automation of security policy can do to ensure the security and increase the agility of their organizations. Put all of us in the same room and great things are bound to happen! The main theme of the conference was how to balance organizations’ need for security with the business’ need for agility. We heard from customers, Tufin executives, and security expert Misha Glenny, who all provided great insights into the state of security and how automation is mandatory for enterprise organizations of today – and tomorrow. Tufinnovate began with pre-conference in-depth training sessions and a full expo. Attendees spent the day meeting with Tufin experts and partners to engage in conversations and learn more about solving network security challenges. We then officially kicked off our conference with keynotes from our CEO, Ruvi Kitov, followed by our CTO, Reuven Harrison. Ruvi’s talk focused on what he calls “network fragmentation.” According to Ruvi, the network will continue to be fragmented, growing more complex and with increasing risk. The future is hybrid and the need to use automation to secure network and security operations is greater than ever before. Enterprise networks are fragmented – the complexity of the infrastructure, people, and processes will continue to fragment the network even more. The hybrid network is here to stay with firewalls from different vendors and thousands of routers and switches. Combine this with the fact that more organizations are adopting public and private cloud and introducing microservices and containers, and the fragmentation of networks only increases. Since different teams handle different parts of the network, we’ll see even more fragmentation and complexity in the future. Organizations must be agile and secure, and Ruvi believes that a focus on functional security policy is crucial. He concluded by talking about ways to balance security and business agility. Reuven provided insights on where the security market is headed. He echoed Ruvi’s sentiments on the challenge of security versus agility and reinforced the idea that in order to move forward, everything will need to be automated. We need to think of policy as code and security as code and understand the requirements of the immutable infrastructure. This begins with the reasons why organizations are adopting DevOps and containers, and if you aren’t there today - why you need to prepare for the future. A big component of preparing for the future lies in increasing the collaboration and communication amongst the teams, an idea introduced by Reuven and echoed by our security expert keynote. While Misha did his best to scare us about the cybersecurity in the world at large, his practical advice centered around education, collaboration, and communications. Without it, Misha feels that we will lose the battle against organized cybercrime. Tufinnovate continued with customer testimonials from different geographies and industries and included technical sessions for administrators and developers reviewing existing and new use cases of Tufin Orchestration Suite and Tufin Orca. The conference concluded with Tufin VP of Products Ofer Or taking the audience on a journey through the Tufin vision and roadmap, reviewing the new developments that customers and partners can expect to see at Tufinnovate 2019. A big thanks to all who attended – we look forward to seeing you again next year! And now, we’re off to Boston for Tufinnovate Americas taking place July 10-12.